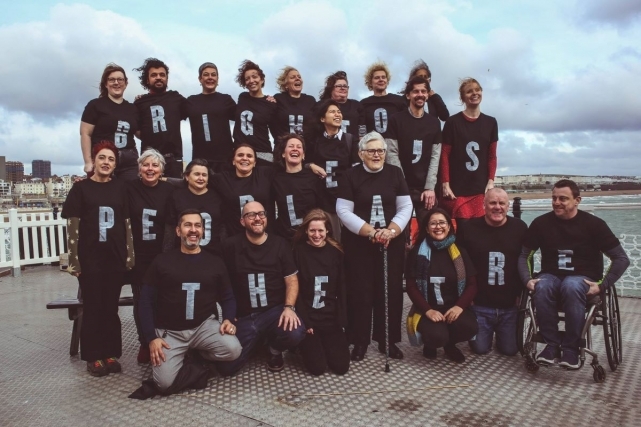 Brighton People’s Theatre (BPT), have announced a year-long programme in partnership with the Paul Hamlyn Foundation, Brighton Dome & Brighton Festival and Attenborough Centre for the Creative Arts (ACCA). BPT will explore whether there is an appetite for a People’s Theatre for the city and aim to work with at least 100 local residents who aren’t currently engaged with the arts . The initiative is open to all but BPT would like to involve residents who have never professionally, or otherwise engaged in theatre. The year-long programme includes workshops, masterclasses, theatre clubs and events with artists and performers. "If all the world’s a stage, then theatre is for everyone. We are passionate about changing the way that theatre is made so that it is more reflective of society as a whole. Brighton People’s Theatre is open to anyone who is curious about what theatre could mean in their lives. We’ve got a fantastic programme of activities over the year for people to try on a Pay What You Can basis." Over the year, BPT will run monthly masterclasses, reading groups, theatre-making workshops, audience clubs and backstage theatre tours.. Artists including Selina Thompson, Alan Lane, Suhayla El Basra and Luke Barnes will develop new ideas and work with participants to challenge how theatre is made and consumed in the UK. Twice a year, the group will hold ‘People’s Inspiration Meetings’ where members will decide what stories they want to tell. If you would like to get involved visit Brighton People’s Theatre website or contact them for more information.